After nearly two decades of American hegemony, the balance of power is back as key force in international politics. This timely book explores the key role that leaders play in the formation of effective balances of power. 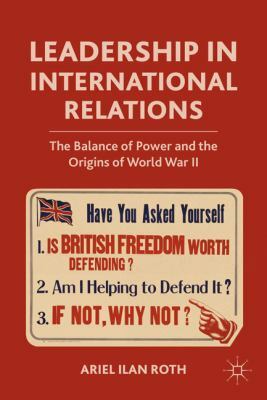 Using the years before World War II as an example, this book argues that it is not enough to just build weapons in the face a rising danger. The secret is to build the right weapons. Leaders have to make the call. British leaders in the 1930s fell short. Will today's leaders do any better?